Yesterday, we caught a glimpse of a number of interesting insects. Some time ago, I figured out that was milkweed (it's a 'pod' dummy, not a 'cone'). 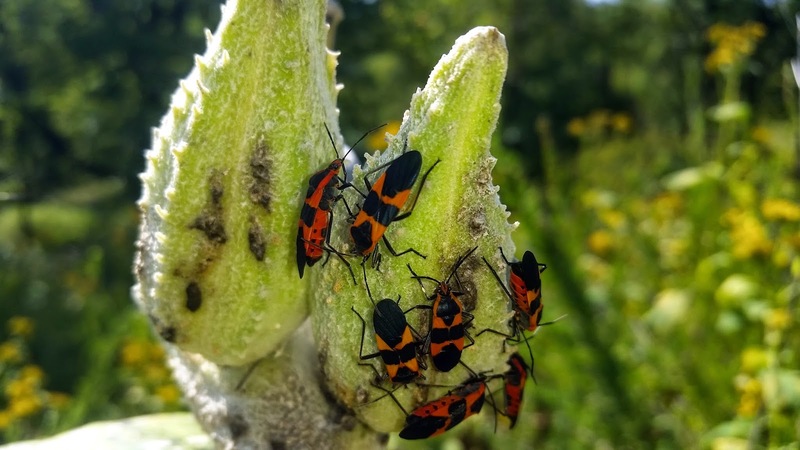 It turns out these little guys are appropriately known as Milkweed Bugs. They're not especially notable, except that they are harmless and make good specimins to study. 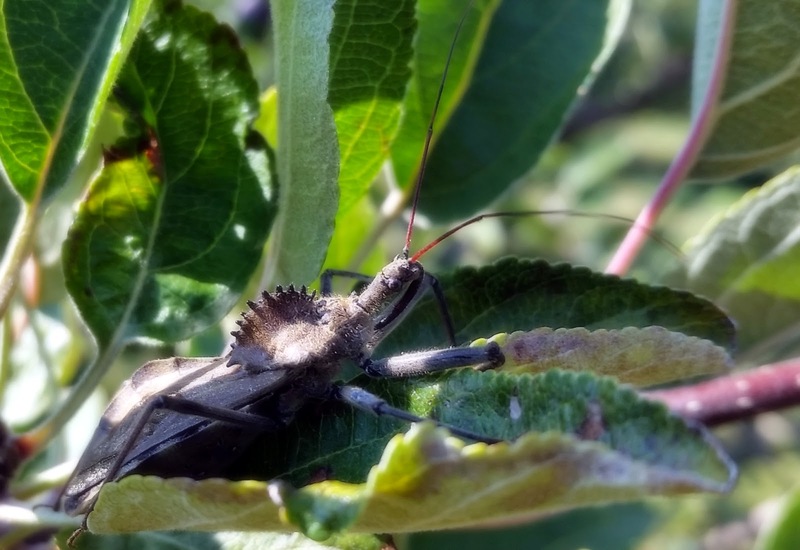 Some good news: Wheel Bugs aren't aggressive. If you leave them alone, they shouldn't bother you. Still, I think I'll pass on taking close ups of Wheel Bugs in the future. I mean, he doesn't even look like a guy (or gal, for that matter). 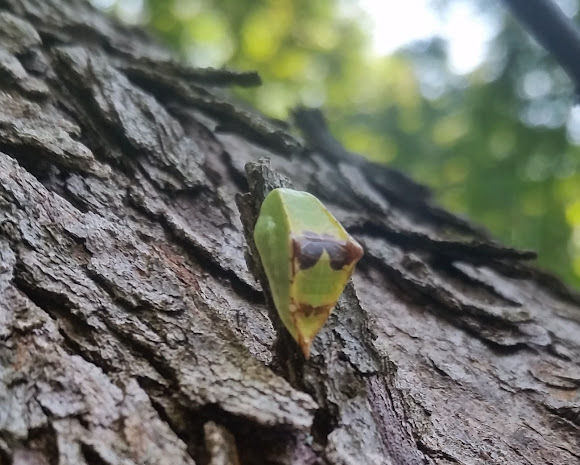 He looks like a chunk of leaf or something. But, when I got close enough, he started moving. It's alive! So what is it? Any ideas?